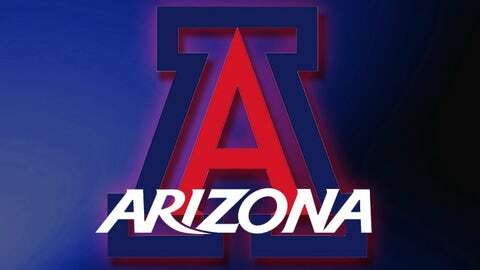 TUCSON, Ariz. — Sophomore Keyahndra Cannon scored a season-high 14 points to lead the Arizona womenâs basketball team past Arkansas Pine-Bluff 67-54 for its third straight win Sunday at McKale Center. Cannon went 4 for 4 from 3-point range to give the Wildcats a season-high nine made shots from behind the arc. She became the fifth player to lead Arizona in scoring this season. "Keyahndra Cannon was confident with the basketball," Arizona head coach Niya Butts said. "She stepped up both defensively and offensively. She understands what we need from her and is providing our team with key contributions." Senior Carissa Crutchfield and freshman Breanna Workman also scored in double digits for the second-consecutive game. Crutchfield was perfect on the day with 14 points, also going 4 for 4 from 3-point land while finishing 5 for 5 from the field overall. Workman added 14 points of her own on 6-of-7 shooting from the field; she went 2 of 3 from the free-throw line. Crutchfield and Workman also scored in double digits versus UC Riverside last Saturday with 14 and 11 points, respectively. Senior Erica Barnes led the team in rebounds with a season-high 10 to give the Wildcats a 41-33 edge on the boards. "I feel like we are realizing what each other can do and how to put each other in the right positions," Crutchfield said. "I think the three-game winning streak will really help us going into conference play." As a team, the Arizona bench outscored Arkansas Pine-Bluff’s 24-12 and scored 14 fast-break points to the Golden Lions’ zero. "I think (our bench play) was big today," Cannon said. "Coach always encourages us to score off the bench and it definitely helps us. I think, going into conference, if we continue to score off the bench it will make everyoneâs life easier."